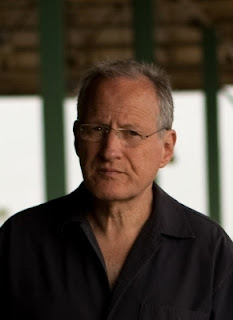 Michael Mann – the four-time Oscar-nominated writer-producer-director of classics such as The Last of the Mohicans, Heat, Manhunter, Collateral, Public Enemies and the Oscar-nominated dramas Ali and The Insider as well as the award-winning executive producer of Miami Vice, Crime Story, Drug Wars and Luck – is integrating publishing into his long standing practice of translating literary material into film and television. Under his imprint, Michael Mann Books, Mann will have a core group of major authors to collaborate on fiction and non-fiction books and may share cover credit on certain properties. The literary properties will be simultaneously developed for film and television. The first of these authors is international bestseller Don Winslow, author of The Cartel, and together they will co-create an original novel about the complex relationship between two Organized Crime giants, Tony Accardo andSam Giancana. Mann will produce and possibly direct the film. The film will be based on the novel and a pre-existing screenplay Mann co-wrote with Shane Salerno. The novel's anticipated breadth will be on the scale of Winslow's Cartel. Existing film properties will also be explored, including a prequel novel to Mann's seminal crime classic Heat featuring the characters portrayed by Al Pacino, Robert DeNiro, Val Kilmer and Jon Voight. Mann has an exceptional history of adapting fiction and non-fiction works into iconic feature films, including The Last of the Mohicans, The Insider, Public Enemies and Manhunter. In television, Mann executive produced the Emmy award-winning NBC miniseries Drug Wars: The Camarena Story and the Emmy-nominated Drug Wars: The Cocaine Cartel from Desperados, the international non-fiction bestseller by Elaine Shannon. In the late 80's, Michael Mann wrote and directed the adaptation of Thomas Harris' global bestseller Red Dragon. The film Manhunter featured the first screen appearance of Hannibal Lecter, opposite forensic investigator Will Graham, played by William Petersen, and the influential cult classic set the standard for countless film and television crime procedurals to follow. In 1999, The Insider was adapted from a Vanity Fair article by Marie Brenner and was nominated for seven Academy Awards, including three for Mann as director, co-writer and co-producer. He also developed and produced the Martin Scorsese-directed The Aviator starring Leonardo DiCaprio and co-wrote, produced and directed Public Enemies starring Johnny Depp and Christian Bale.